Jungle Red Writers: Malice Memories--what's yours? legendary Malice Board members...) of Malice Domestic. Heard of it? Never heard of it? That's why we welcome Shawn today! ... and Malice Domestic gets underway. 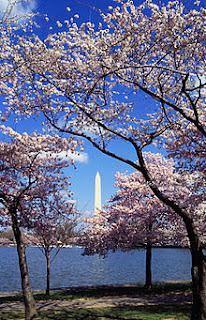 Both are time honored, highly anticipated events and both remind us that spring has sprung. This year is Malice Domestic’s 25th year and we’ve become a bit nostalgic while planning our Silver Anniversary. It’s amazing to think that 25 years ago less than 100 mystery fans and authors gathered together for the first Malice and honored Barbara Mertz, Robert Barnard, and Agatha Christie in spirit. Today we have upwards of 600 attendees who travel from all over the country and far parts of the world to honor the Traditional Mystery in the very same way. 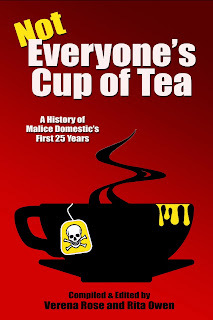 In looking back and to honor this special year, we decided to publish a book complete with essays and memories from fans and authors entitled Not Everyone’s Cup of Tea…An Entertaining History of Malice Domestic. It is being published by Wildside Press and copies are available for pre-order on our site and will be for sale at Malice. It’s been a huge project with so many contributions and fun memories from our fans and authors. We are so excited to have this piece of history available for everyone to enjoy. Some of the memories that our attendees provided were funny, some insightful and some moving. Malice Domestic is often referred to as a family reunion. The Malice Board really feels that way too and we always have our attendees in mind as we plan the events, assign the panels and select the menus. We meet once a month all year long at the hotel to plan that one long weekend in the spring, a weekend we hope is an exciting and interesting immersion into the traditional mystery genre. We want our attendees to rub elbows with their favorite authors, see old friends and make new ones along the way. As with any family, we’ve lost some loved ones along the way. Authors, Fans, Supporters, Friends and Board Members. We miss them terribly but it is a comfort for us to come together and see our friends every year and be able to remember them together. Having a special anniversary does tend to remind us of those who we’ve lost but who are with us in spirit as we carry on with our love of Malice. But it’s not all fond memories and familiar faces. Every year roughly 25% of our attendees are first timers, which we always find so exciting. We regularly have new attendees join us to see a specific author or attend a specific event and then they end up registering onsite for the following year after they have a great experience the first go round. We are very grateful to be turning 25. We would not be marking this milestone if it weren’t for the support from the traditional mystery community, our authors and fans. Malice is primarily a fan convention. We don’t offer programming on how to write or how to meet an agent, or how to get published (these are very important topics that other conventions cover extremely well). 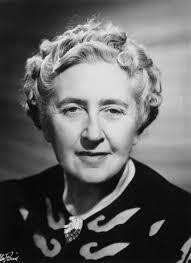 Our focus is our love of the authors and their books and the traditional mystery genre modeled after the work of Agatha Christie. So we’ve asked this question a lot this year: What is your favorite Malice Memory? HANK: I'll be there!And Lucy and Rhys..and Julia? And Hallie? Who else?? And what's your favorite Malice memory? In 2007 I didn't know of Charlaine Harris, but her signing table was next to mine, and I soon found out. There were about 20 authors in a room, but most of us could have been waiting for a bus. Charlaine's line stretched out of the room, the hotel, and into the street. Heck, it probably went to Baltimore. My favorite moment has to be winning the first Malice Domestic Grant for The Scent of Murder. What an honor from a group I love so much, many of whom I count as my dear friends. Jeff, that's a wonderful memory! I remember sitting next to HRF Keating, a wonderful British author, and I had just heard that my golf lovers series wouldn't be continued. He was so sweet and supportive--told me that his series had probably gone on too long. I will never forget his kindness! I'll be there! and can hardly wait! It was up and down as to whether I'd be able to attend this year, and with thanks to Shawn Reilly Simmons, I'll be there. I've only been to one Malice and that was last year. My favorite memory is a little bit embarrassing. Margaret Maron knows how very much I admire Elizabeth Peters and made a point of introducing me to her and I promptly burst into tears. But Ms. Peters was as gracious as you would imagine and told me I was as lovely as Margaret had said. I walked on a cloud the rest of that day and the next. Shawn, I look forward to seeing you. For those of you who don't know Shawn, take it from me - this is a woman who will go SO far out of her way to help someone it will make your head spin. I owe her a great deal. Oh, boo. I really wanted to come this year, then realized I had committed to be a keynote speaker at another conference right in my home town the same weekend. Hoping for next year! My favorite memory? I met my dear friends Kate Charles and Marcia Talley at Malice. The first year I was nominated for an Agatha Award, I walked up to registration and the woman behind the desk (I think it might have been Marian Lesko, but again, a blur), said, "Oh, it's one of our nominees." And she handed me a nominee badge and made me feel so special, and I think I floated for the rest of the weekend. Second memory: I'm now program chair of Malice. The first year I did the job, I really didn't know what I was doing. When the board had approached me about joining, I told them I heard programming was open and I was interested. I think they probably secretly worried I was a little crazy, because who volunteers for this job? But they said okay. And I worked and worried and muddled my way through. When the convention ended that first year (2009, I think), and people started telling me how much they enjoyed the weekend, it felt like I could finally breathe. I hadn't screwed it up. I floated on that joy for like a month. Don't feel badly. For several years now I have been known as "that woman who makes people cry." For the record, I have made at least three authors and a handful or two of audience members cry. I do have to say in my defense that they've always been the good kind of crying. My favorite memory is from the last year we were in Crystal City and I was sitting in front of the hotel's check-in desk to wait for my friend to finish checking in so we could go ... um, check in when Carolyn Hart walked by and waved at me. I immediately called my husband and giddily told him that "Carolyn Hart recognizes me enough to wave at me." He laughed but it was a great moment because Carolyn is the reason I am a part of the cozy community. I will always be grateful to her for writing Death on Demand. LOVE Malice - I only wish I were could be there this year... The only thing that COULD keep me away is keeping me away: waiting for the arrival of a grandchild. Last time there I had coffee with Carolyn Hart and Margaret Maron - IN HEAVEN! Mystery fans and authors together in one place? For a spring weekend? I’ve never been, but I have to say it absolutely sounds like a bit of heaven right here on earth . . . . This year will be my first Malice and I'm diving in. I'll be part of a SinC prez breakfast, a new author breakfast, a panel, and a signing. I want to meet everyone! See everything! Excited, can you tell? I owe my first Malice to a nudge from Heather Webber who I met online at her personal blog and from the Cozy Chicks blog. I was so scared to attend that I was just not going to show up and boy am I glad I came. I more or less stayed by Heather's side throughout most of event. One of best time was when Sue Grafton said she heard about me and my book and after signing it she checked the rest of the book out. Naturally my favorite Malice moment was hearing my own book title and name when The Heat of the Moon won for Best First Novel -- but equally exciting,and far more nerve-wracking, was getting The Call about the nomination from Louise Leftwich. That lady knew a thing or two about creating suspense. I know how very much Louise is missed, and I was happy to have the chance to recount that telephone call for the Malice booklet. Malice is a incredible and unique experience. It really does have the feel of a family reunion. And it is a great first convention for those who are intimidated by the size of other conventions like Bouchercon. My favorite Malice memory is sitting at Rhys' table for the banquet. She was such a gracious host, making sure to talk with all the table guests. And her publisher who was also there was equally nice, asking all kinds of questions about the bookclub I was leading at the time. Such a great event, don't miss it if you can help it. This year, I had to limit my time there to on day (on Saturday), but it is better than nothing. My favorite moment was winning the Agatha teapot for Murphy's Law back in 2002. I was relatively new and unknown and it was so amazing. I floated up to the podium and babbled, I expect. Sandy, I'm with you about Louise! I still have her message on my answering thing! It's all very cagey and not saying anything specific except "call me back. " Talk about bursting into tears! I certainly did. AND HURRAY HALLIE for making the Boston Globe Bestseller list! And so nice to read these all!.. My first Malice was 2010--I attended as a winner of the William F. Deeck--Malice Domestic Grant for Unpublished Writers and magic happened. I was Cinderella that night. I really was. When Red Julia Spencer-Fleming was fortunate enough to win the Best First Agatha for IN THE BLEAK MIDWINTER (this was in Virginia), her entire family lept up on chairs. Her ENTIRE family. Near as we can tell, she hasn't looked back since. Best wishes to Hallie on the new grandchild. And congratulations on making the Boston Globe Bestseller list! I will miss seeing you at Malice but clearly you have a lot going on. I have too many Malice memories to attempt to rank them. But winning the grant was like being in a dream. I think I'm still dreaming! Thanks to Shawn and the dozens of people who work all year to make this conference happen. What a joy to read all of these comments and memories!! We really do have the greatest mystery family in the world. I can't wait to see some of you very soon, and others of you down the road. And thanks for the kind words, Kaye! We'll do anything to make Malice a great time whenever we can! I have no Malice memories because this year is my FIRST Malice. Carolyn Hart gave me a stunning blurb for my debut novel. Then she asked if I was planning to attend Malice. I signed up instantly. So jealous of all who have seen her there over the years. See you there!